Driving around town this weekend, I enjoyed all the work fellow gardeners have been doing in their yards. I thought our early spring weather brought out the best in our landscapes, but then I saw it. I couldn't believe my eyes, but there they were: mulch volcanoes. 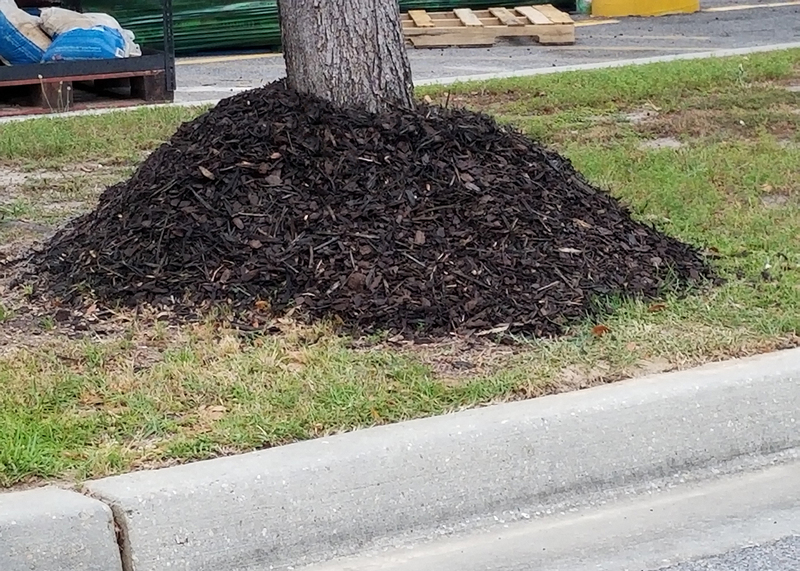 It's been a couple of years since I've seen a real doozy of a mulch volcano, and I realized again what my duty has to be. I have to convince people that mulch volcanoes are bad for our trees. So, who’s to blame when a mulch volcano is created? Most gardeners love their trees and want to do what they can to help them grow and prosper. Newspapers, magazines, TV gardening shows and landscape professionals tell us perhaps the best thing we can do for our trees is to add a layer of mulch around the base. Mulching reduces weeds, cools the soil and most importantly, conserves precious water in the tree’s root zone. The ideal mulch thickness is 2 to 3 inches, but some gardeners think 6 to 10 inches has to be better, and so mulch volcanoes are born. When a thick layer of mulch is spread around the trunk of a tree, many things can happen, and they’re all bad. The mulch will indeed hold moisture, but it will be up against the tree trunk, creating a condition where the bark starts to decay. This problem allows fungi, bacteria and insects to get under the bark and cause problems internally for the tree. Circling roots are another problem commonly found in mulch volcanoes. In this moist environment, a tree will begin to grow roots into the mulch instead of outward into the surrounding soil. Most mulch volcanoes are circular because that’s the way most homeowners place mulch around trees. Roots will start to circle the tree, staying in the mulch. An example of root circling can be seen with bedding plants or any plant grown in a container. Many consumers will look at the roots of a container-grown plant before purchasing it. They are looking for roots that circle the inside the container. These roots never grow out into the soil, and the plant will not perform well in the landscape. As the tree grows, the circumference of the trunk grows larger, and the circling roots eventually strangle the tree. However, the tree does not die immediately. It goes through a prolonged period of decline. The proper way to mulch a tree is to first spread an even 2- to 3-inch layer around the base of the tree. The diameter of this mulch is up to the home owner. I personally like big mulch beds around trees to ease lawn mowing and reduce edging, but that is a topic for another column. After the mulch is applied, use a rake or your hands to pull the mulch back away from the tree trunk. It is OK to leave a thin layer to avoid exposing bare soil, as long as the mulch does not touch the tree trunk. As you pull the mulch back, contour it to resemble a bowl. This shape helps to collect water and direct it towards the root system of the tree during rain or irrigation. 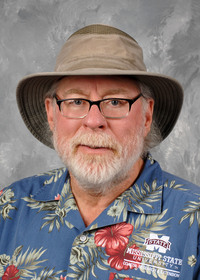 Watch the Southern Gardening TV segment “CSI Horticulture Unit,” https://goo.gl/0KsFNM, to see how proper mulching is done.